Saturday, 11 January 2014: Two Hundred and Eighty Five Days Old. 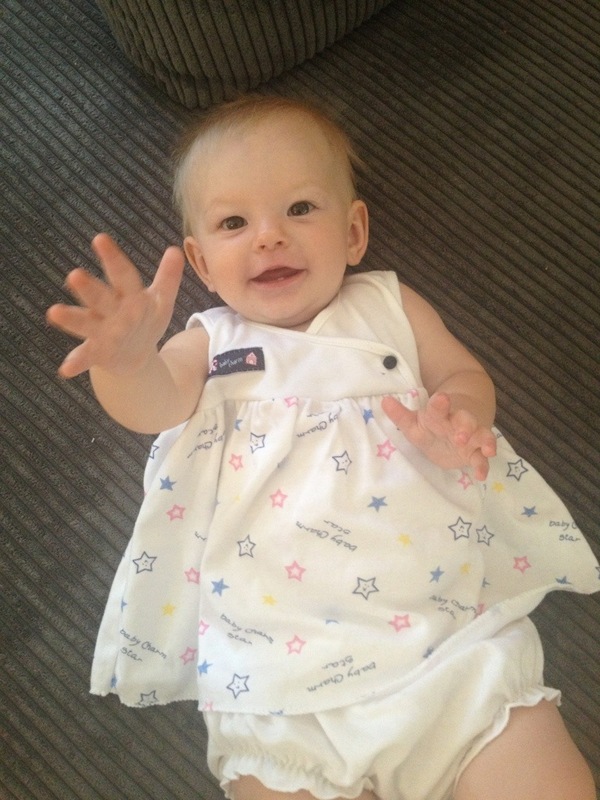 Ayla learned two new tricks today; to clap and to high-five!! I realised yesterday that clapping and high-fiving isn’t part of our daily life, but they’re important skills in the timeline of baby development. So yesterday afternoon I set about teaching Ayla to high-five, and last night I taught her about clapping, so today she has two new tricks up her sleeve! It’s sooo adorable, particularly the clapping; Ayla spreads her fingers wide and slaps her hands together so hard that they even make the clapping sound. And as for the high-fiving, Ayla’s a little slow on the uptake but she eventually gets the hang of it and ends up in a spin of constant high-fives, which are kind of more like one hand slapping.